Durable, fast, and lightweight, the diskGO® Portable USB 3.0 Solid State Drive (SSD) offers high-end SSD performance in a convenient, portable USB 3.0 design. SuperSpeed USB 3.0 - the fastest USB connection available - is up to 10x faster than USB 2.0. * USB 3.0 is also backwards compatible with USB 2.0 systems. 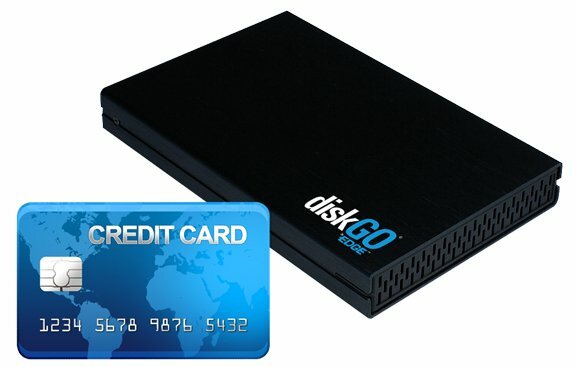 The diskGO Portable USB 3.0 SSD is TAA compliant, built with a premium controller, and backed by a three-year warranty. SSDs have no moving parts and are faster, more rugged, and more efficient than hard drives. The sleek black aluminum exterior provides additional cooling and durability. A powerful SandForce based SSD drives the diskGO Portable USB 3.0 SSD, providing unparalleled performance. Store HD movies, archive irreplaceable photos, and back up an entire music library with lightning fast speeds. Getting started is easy - simply connect the Portable SSD to an available USB port of a computer to begin backing up and transferring files. No software to install or setup required. 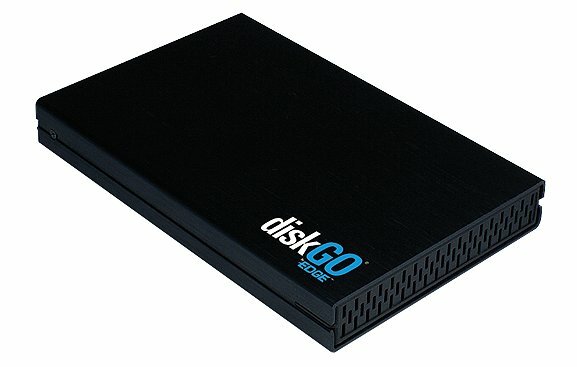 The diskGO Portable USB 3.0 SSD is small in size and USB powered - no additional power supply required. This product is backed by a three-year warranty. 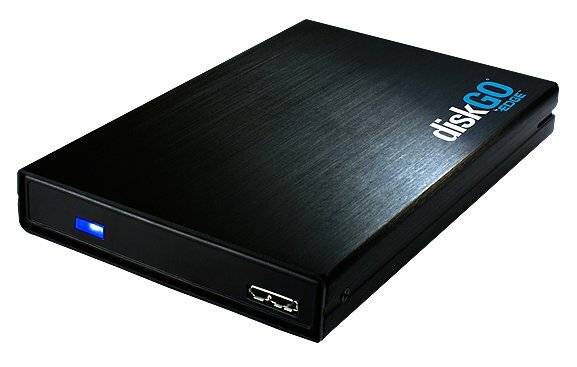 Fast - Superspeed USB 3.0 allows for transfer rates up to 10 times faster than USB 2.0 (when connected to a USB 3.0 port). The fastest USB technology available—acheive rapid data transfer rates in a low power, efficient manner. No Moving Parts - SSDs have no moving parts and are faster, more rugged, and more efficient than hard drives. What’s in the box Portable USB 3.0 SSD, and USB 3.0 cable.